The Inventor Of The Class Reinvents It. For a striking new luxury SUV that satisfies all your needs, buy or lease a new 2020 Mercedes-Benz GLE. We have the 2020 Mercedes-Benz GLE SUV for sale at our Mercedes-Benz dealership near Newport News, VA, and we invite you to stop in to see the 7-passenger 2020 GLE SUV up close. 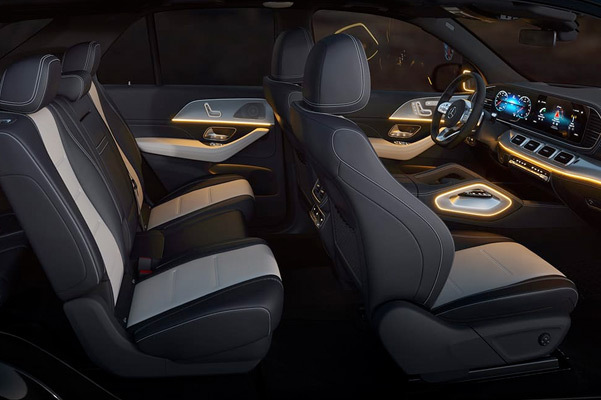 The all-new 2020 GLE 350 boasts striking yet elegant touches throughout the cabin, while the 2020 Mercedes-Benz GLE 450 interior has been upgraded to give you all the tech and comfort amenities you need. Learn more aboutthe 2020 Mercedes-Benz GLE 450 towing capacity and other specs, then view the 2020 Mercedes-Benz GLE price when you visit Mercedes-Benz of Hampton! With the 2020 Mercedes-Benz GLE release date in the rearview mirror, we invite you to visit our Hampton Mercedes-Benz dealer to come up with a 2020 Mercedes-Benz GLE review of your own. Schedule a Mercedes-Benz test-drive to view the 2020 GLE 350 towing specs and 2020 GLE 450 price today!